A planning application to build three detached houses, each with four bedrooms has been submitted to Sutton Council for approval. Consultation ends 29 August 2014. If you are familiar with this plot, you may be wondering how they will be able to fit all this onto the land! This leads us to the heated debate about height of buildings. 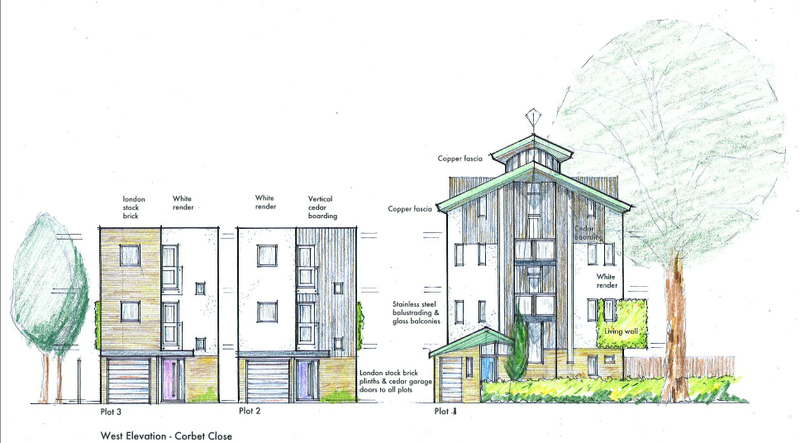 One house will be built over four floors, making it the same height as ‘The Wave’ flats on Hackbridge Road and the other two houses will be built over three floors. As some of you are aware, the old flats on Corbet Close will eventually be demolished and will be replaced by family houses of standard two storeys. The developers have been sensitive to the history of the area and taken that into their concept of the design. Deadline is 29 August 2014. MAKE SURE YOUR COMMENTS COUNT! 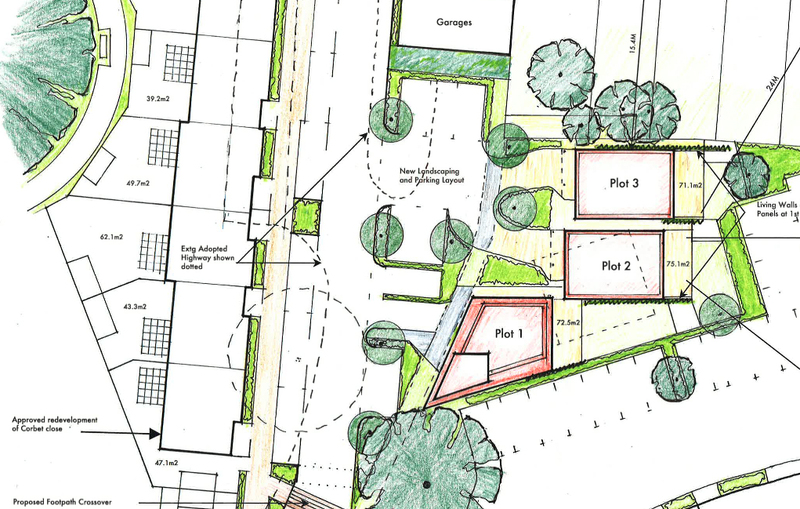 Next Permitted Development Rights – what’s that all about?